This Maleficent Movie Review doesn’t have massive spoilers and tells parents whether or not the movie is too scary for children. Disney puts out one huge movie a year and this one is their latest blockbuster. Here’s my official Maleficent movie review. I know there are a lot of questions surrounding the movie. So, I decided to break down this post into segments and use ACTUAL questions I’ve been asked by friends and online through social media. Maleficent Movie Review: Is this movie family friendly? Can I tell you that this is the number one question I get asked? Why? Because that trailer is so darn intimidating, right? Here’s the deal. My kids will have NO PROBLEM watching this movie (I have a 6 and an 8 year old). We watch movies like The Hobbit and Oz The Great and Powerful all the time. If your children can get through that last scene when the witch ages in Oz, then there is nothing that will scare them in Maleficent. There is a war scene in the middle of the movie and I watched it carefully and thought about what my daughter would be feeling if she was sitting right next to me. Magical, woodland creatures rise from the ground and that was very theatrical and grand and BIG. But I wouldn’t say it was scary. Fighting occurs of course, but there is no real damage shown and it is over before you know it. The last scene – the scene with the dragon that is shown in the trailer – is intense as well. But it’s not scary. Scary is not the right word. It’s just intense. It’s a movie that will keep you at the edge of your seat. Remember folks, this is a PG movie. They aren’t going to show anything that would not fall under the PG guidelines. This story is filled with love and forgiveness and the message at the end is completely worth your time. 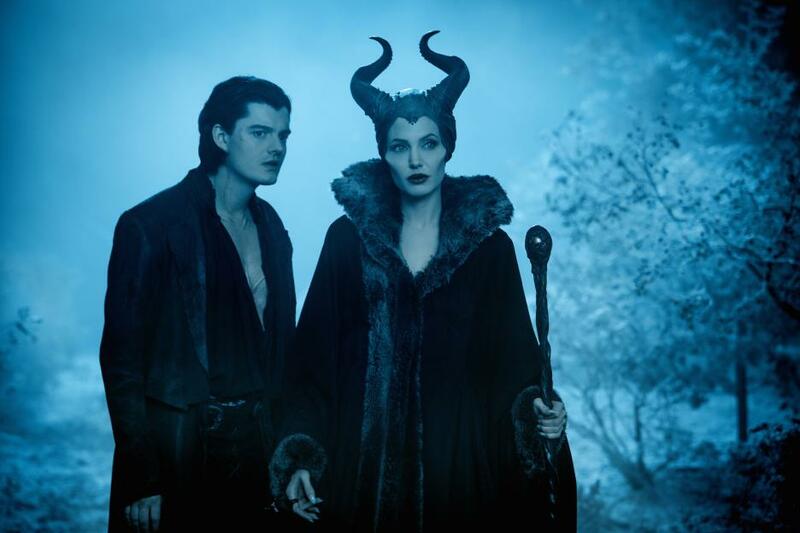 Maleficent Movie Review: Did the 3-D effects enhance the movie? They were great! To be embedded within a magical wonderland and to have fairies floating all around you while you are munching on popcorn… well, there just isn’t a better way to spend the afternoon. LOL! I am so happy they offered up Maleficent in 3-D. If you have a choice to see it with the glasses and without, definitely choose the greater experience. 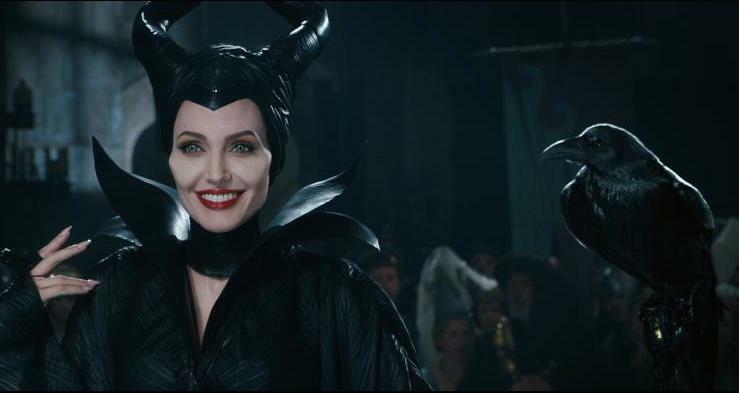 Maleficent Movie Review: How was Angelina Jolie? Absolutely stunning. Absolutely beautiful. Absolutely heartbroken. Absolutely engaging. There were moments in the movie where the director would do close-ups on her face and I would get lost in it. Truly! I would scan her features for any signs of imperfections and of course would come up empty handed every single time. Even with the fairy enhancements, she was so beautiful that I would just become mesmerized. She truly was a magical witch. But her acting is what will win you over. She brings every emotion because Maleficent goes through every emotion. She is innocent, loved, abused, hurt, scorned, filled with revenge, and then finally begins the process of forgiveness. We go through all of this with Angelina during the film and the ride is a beautiful one. 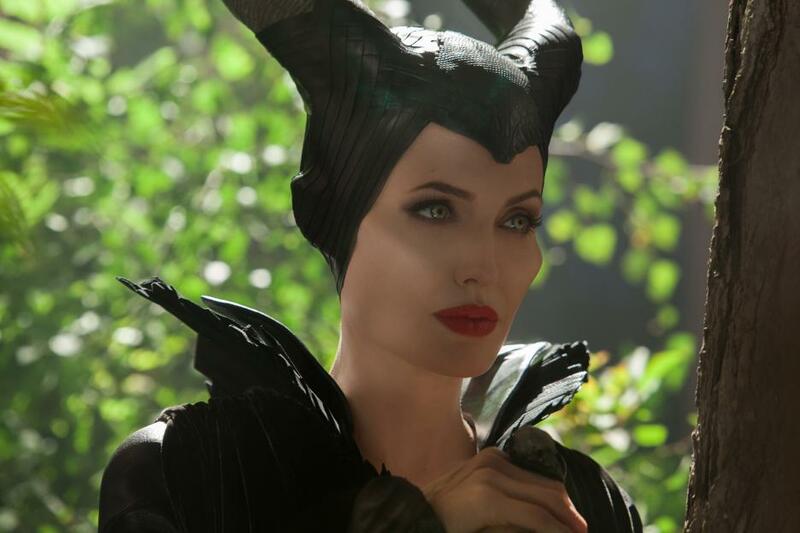 Maleficent Movie Review: Does it follow the original story line of ‘Sleeping Beauty’? Ok. Sort of. It’s a retelling. So, all the main characters are still in play. But it’s another version of the same story. So, don’t expect a true Sleeping Beauty rehashing because that isn’t going to happen. It’s a twist. It’s a “what if”. It’s from Maleficent’s perspective – if she was the lead. Maleficent Movie Review: How are we supposed to have sympathy for a villain? 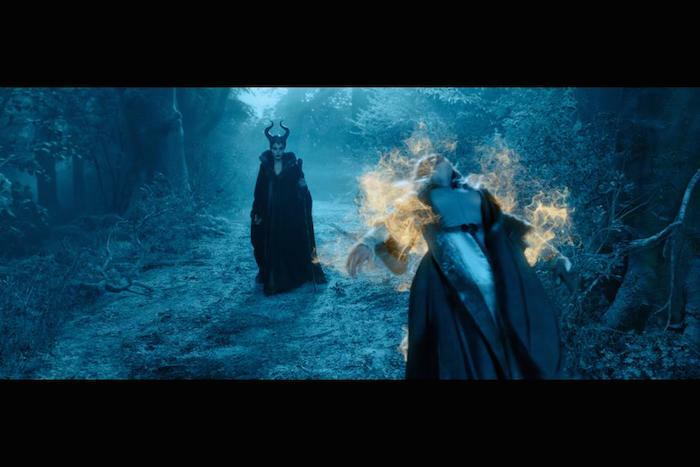 Maleficent Movie Review: What was your favorite scene? I can’t tell you! I can’t tell you my favorite scene because it will basically give away the entire movie and that will just kill it! UGH! I will tell you my second favorite scene — there’s a tie. FIRST — when Angelina Jolie finds out she no longer has her wings. I cried the ugly cry in the theatre when that scene happened. And the other scene is when Angelina shot a quick take with her daughter Vivienne. You could tell there was actual love between the two despite her efforts to pretend that she didn’t want to be with the child. It was so sweet. Look out for that one! Maleficent Movie Review: Is there a lot of action? It’s intense! I’ve said it before. It’s not an entire movie filled with fighting – absolutely not. But the few moments that action takes place, you are holding your breath and routing for Maleficent. The rest of the movie is really about love and forgiveness. 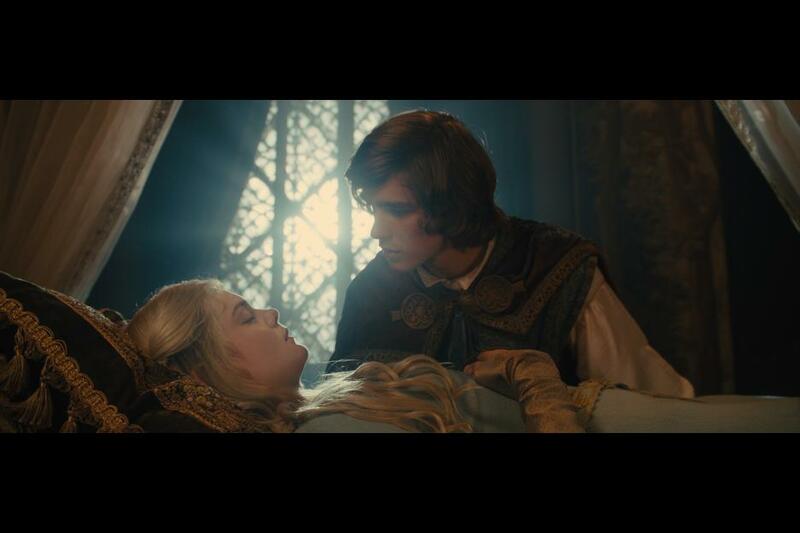 Maleficent Movie Review: Did they include the famous “true love’s kiss”? You will just have to come and watch it to see. 🙂 I will say this – Prince Phillip is in the movie. Maleficent Movie Review: Did they leave room for a sequel? Yup. I believe so. I think that a lot can be done with Maleficent. I’m praying that Disney feels the same way. That’s it folks. I hope you go see this movie! I really, really love this movie. Sleeping Beauty was my favorite Disney movie growing up because of Maleficent. Cinderella is my favorite princess but nothing beats the tale of true love’s kiss!!! What do you think? Are you going to see Maleficent? Are you going to see the movie with your kids. It came out TODAY and is PG!